If you’re like me, you’re probably a sucker for skin care products. I mean, how couldn’t you be? They smell heavenly and are just so much fun to shop for. However, with money tight these days, it’s best that we spend ours on the products that we really need. But with new beauty products hitting the shelves each day, it’s hard to decide what you truly need and what’s only a passing fad. To create a routine that will have the best results for your skin, you should make sure to include the following products. First things first! Every beauty routine should start with a good cleanser. Considering there are a variety of cleaners, which one is right for you depends on your skin type. For acne-prone skin, consider getting a gel with salicylic acid that penetrates deep into the pores to remove any dirt that’s blocking them. For normal and combination skin, both gel and milk cleansers can be a suitable option. 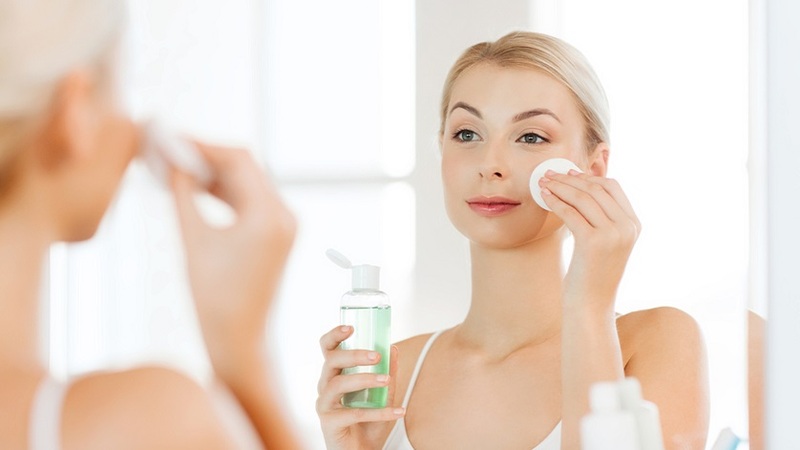 You can use two different cleansers depending on the current state of your skin. On the other hand, if you have dry or sensitive skin, it’s best to avoid products that are too harsh. So, consider mild, milk-like formulas that are perfume and paraben-free to not irritate and dry out your skin even further. Using micellar water after cleansing can give dry skin a surge of moisture and help remove any traces of makeup that mere washing couldn’t. In any case, consider checking out the ingredients of moisturisers and other skin care products online before you buy them. While toners are often dismissed as useless, they actually make the other products you layer on more effective. Not only do the remove excess make up on the skin, but they also help prepare your skin for the moisturiser by tightening your pores. So, don’t skip this important product. When choosing a toner, go for a gentle, alcohol-free formula. You can choose one that includes nutrients that help repair the skin such as glycolic acid or vitamin C. Using vitamin C on your skin helps boosts its collagen production, which results in smoother and firmer complexion. So, consider getting vitamin C-based skin care products online or from a local pharmacy. After cleansing, it’s important to hydrate your skin before applying the other layers. While most people already use a moisturiser, many of them use the wrong kind. And some people with oily skin even make the mistake of avoiding moisturising all together out of fear that it causes them to break out. However, not moisturising causes the skin to produce even more sebum which as result exacerbates acne. The trick is to find a non-comedogenic formula that is completely absorbed by the skin and doesn’t leave it too greasy. A popular non-comedogenic but hydrating moisturiser is Avene’s Tolerance Extreme Emulsion which is great for all kinds of skin. No matter whether it’s winter or summer, always put a good layer of SPF lotion before leaving your house. Your future self will thank you for it. The harsh UVA and UVB rays can age the skin prematurely, causing fine lines, wrinkles and spots. So, make sure that you wear a good SPF with a rating of 30 or higher. You can purchase a separate SPF product, or look for a moisturiser that also offers SPF protection.